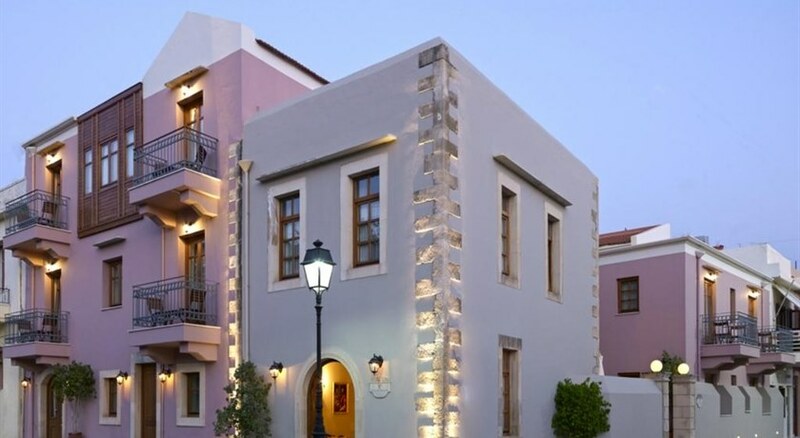 Palazzo Vecchio Exclusive Residence is a small, romantic and beautifully furnished Hotel in Rethymno, Crete. Located at the quiet end of the old town of Rethymno, below the Venetian Fortress “Fortezza”, 50 meters from the Mediterranean Sea. Palazzo Vecchio is one of the oldest mansions of Rethymno, a shining example of Venetian urban architecture. The hotel consists of 23 Junior Suites, Suites and Maisonettes and has been restored with skill, taste and respect to its history. Palazzo Vecchio Exclusive Residence is a small, romantic and beautifully furnished Hotel in Rethymno, Crete. Located at the quiet end of the old town of Rethymno, below the Venetian Fortress “Fortezza”, 50 meters from the Mediterranean Sea. Palazzo Vecchio is one of the oldest mansions of Rethymno, a shining example of Venetian urban architecture. The hotel consists of 23 studios, apartments and maisonettes and has been restored with skill, taste and respect to its history.Hotel features: •Free Wi-Fi internet access is available in the public hotel area (not in the rooms). •Hotel Reception with a small bar in the lobby is open 24 hours. 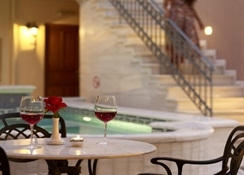 • “Roman Style” swimming pool •Rich breakfast buffet •Sun terrace with sun beds free of charge. In the neighbouring Old Town of Rethymno you can find a plethora of restaurants, cafe, shops & various points of interest, in easy walking distance. Book now & enjoy a unique journey into the magical, almost fairytale-like, times of the Venetians, at the same time as living in a carefully thought out environment that discreetly satisfies your demands for a relaxing, refreshing & enjoyable holiday in Rethymno, Crete.